Food and shelter supply chains have the greatest opportunities for carbon, water and land footprint reductions. Ecofys, a Navigant company, and the World Business Council for Sustainable Development (WBCSD) have identified the circular economy potential for eight key materials. In a report that was launched at the World Circular Economy Forum in Helsinki, the experts present eight global material flows together with the respective carbon, water and land footprints. The studied materials are responsible for 20% of global greenhouse gas (GHG) emissions, 95% of water use and 88% of land use. All circular economy measures related to these materials can therefore substantially reduce GHG emissions, water use and land use. With the largest footprints, the food and construction sector represent the two biggest priorities for accelerating the implementation of circular economy. Since food and shelter fulfil basic needs in society and cannot be circumvented, circular economy can play a crucial role here. Implementation of circular economy measures requires involvement of the complete value chain, from raw material extraction through manufacturing, consumer use and end of life. The experts therefore recommend to increase collaboration among all value chain partners and to establish metrics to monitor circular economy progress and report against financial, environmental and social goals. This work was a vital contribution to WBCSD’s CEO Guide to Circular Economy. Hey Buddy!, I found this information for you: "Circular Economy Potential: Ecofys and WBCSD Present Global Emissions Flows For 8 Key Materials". 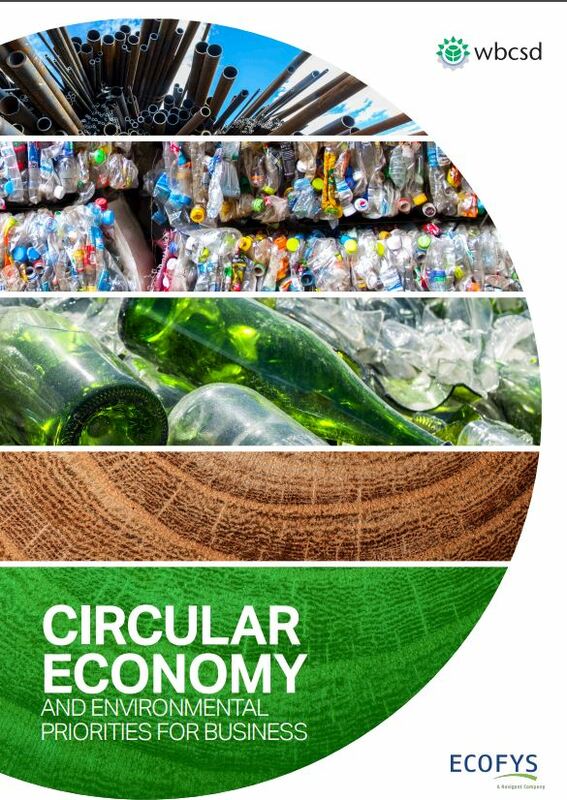 Here is the website link: https://www.duurzaam-ondernemen.nl/circular-economy-potential-ecofys-and-wbcsd-present-global-emissions-flows-for-8-key-materials/. Thank you.